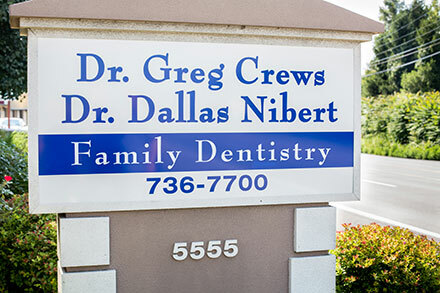 Welcome to Dr. Crews & Dr. Nibert Family Dentistry, serving the area for over 50 years. 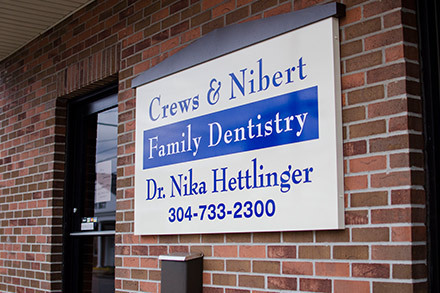 We offer a true “Family” atmosphere and approach to meeting all of your oral health care needs. Our staff will truly make you feel right at home. We put the patient FIRST. We want to provide you and your family with top quality oral health care that will not only lead to overall physical health, but also with a beautiful smile that will directly lead to improved self-confidence. We provide care in a brand new, state of the art dental office with the latest technology offered in dentistry. You will find that our office provides a very relaxing atmosphere. Click here to print and complete all your paperwork prior to your visit.